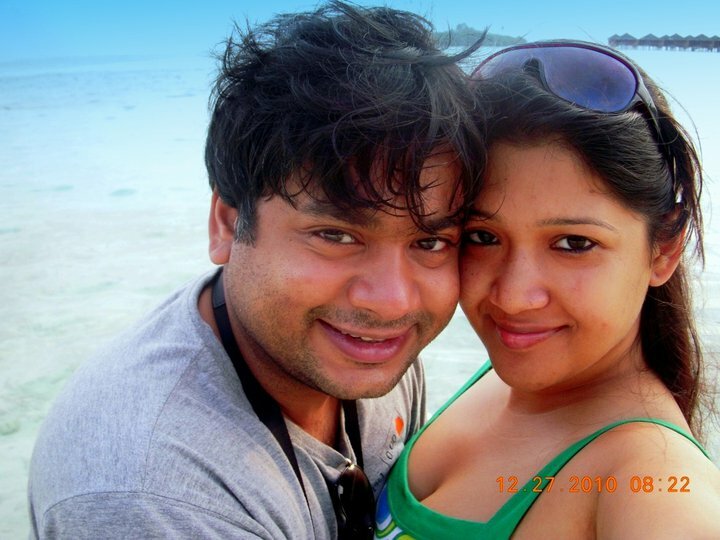 Home » Life, Musing & Anecdotes » How I met a guy whom I now call my Hubby!! How I met a guy whom I now call my Hubby!! Globalization has pushed most of us in different parts of the world, but still at heart we are one big family. And with a huge family come umpteen numbers of festivals and a long list of marriages where we all get together from all corners of the world and swell up in the true colors of the ‘Great Indian Joint Family’. It was my cousin who was getting married in Jan 2010. And I being a faithful sister applied for an extended leave way back in November to attend two of my cousins wedding within 10 days. This was going to be a very long stay in Kolkata after I joined work. Its only after finalizing my leave I started realizing that my Dad was too interested in knowing what’s gonna be my schedule like in Kolkata. He kept asking me how many days I am going to spend at home, what are my plans on Sundays and the days in between the two weddings – forcing me to think that there is something fishy! It had skipped my mind completely that Dad had visited me in Bangalore last November to give me a birthday surprise and I had caught him with a number of some guy with whom he had a chat over the phone. After that we had a fight and I had thought the matter was over there and didn’t even bother to look into whether my parents were still contemplating this. So suddenly my Dad tells me over the phone “Sunday we are going to Saturday Club for Dinner”. My inquisitive antennas sprung out the moment I heard this! The first thought – Dad frequents Calcutta Club and not Saturday Club so why do we go there for dinner? When I asked who else will join us, he cleverly replied his old friends, he also assured me that I knew them; and they had seen me when I was young. This pushed in a world of question marks and I started to think which guy they are trying to pair me up with, whom I had me when I was young? The result of guessing was quite absurd I must say. Because I couldn’t zero in on anyone, and who ever I could think of I was totally against the idea of me being with them!! No amount of coaxing my parents to reveal the plan helped. So I kept silent and my they also behaved like nothing had happened as I reached Kolkata for the wedding. During the wedding I thought since no one is mentioning anything about the dinner plan they must have dropped it, and I was feeling relieved inside! But as soon as the wedding got over I was fished out from the place where we all cousins had camped. Finally the confrontation took place. It made me angry in the first place and sad moments later. I gave all sorts of dialogue from movies that I could recollect at that time, including the very clichéd one “Kya main aapke liye bojh ban chuki hun? ?” And dad started his huge speeches of you-are-our-only-daughter and we-want-to-see-you-happy! So Filmy! What irked me was the whole idea that I am going to meet a guy, whom I don’t even know, and how do I even think whether I want to get married to him and spend the rest of my life with him?? This whole idea in our society had always bored me no mattered what people say. But thankfully dad assured I didn’t have to say anything and can take my time, and also that they’ll not force me into anything. That was a relief for me somehow! Throughout the drive I was planning what all am I going to say to this person so that he runs away because I thought I wasn’t old enough to get married. Though I knew the poor fellow flew all the way from Bangalore to Kolkata for two days only to meet me! But how was I going to get bothered by that. I was too focused on avoiding any marriage like situation! But to the contrary I liked his boyish charm which was quite opposite to my pre-assumed picture of his, when I had heard that he is a CA, given that I totally utterly hate maths. Thankfully from nowhere he is a maths professor figure. But I should thank Gtalk and Vodafone who helped us know each other more and let my family reunite again in The Great Indian Joint Family last December to ring my wedding bells in true Bengali style! 10 Comments on How I met a guy whom I now call my Hubby!! Thank you so much Sithu…. It finally wasnt that tough as I had thought… I somehow dont feel still that I am married!!! Very cool…I am wondering what Indra's blog will be like if he wrote about the same experience ;)….Waiting for your next blog…….love you…. Congrats that you found your dream guy 🙂 May you both have a happy life together! Thank you Monkai di, the funniest part is he yet has to read the post!! I dont knw if he knows that he is been talked about over here! @ Debosmita: Thank you. went through your blog.. its fascinating.. beautiful pieces of writings! ur lucky to get such a wonderful person to spend ur entire life wid…..aldbst…n cheers to ur married life…best wishes from all of us -urmi, munia, prithwish n francis. @ Francis: I remember when you guys msged me for xavotsav and i was feeling trapped there. You wont believe i also told Indro that very same day that my friends are all in xavotsav I dont know what I am doing here!! !